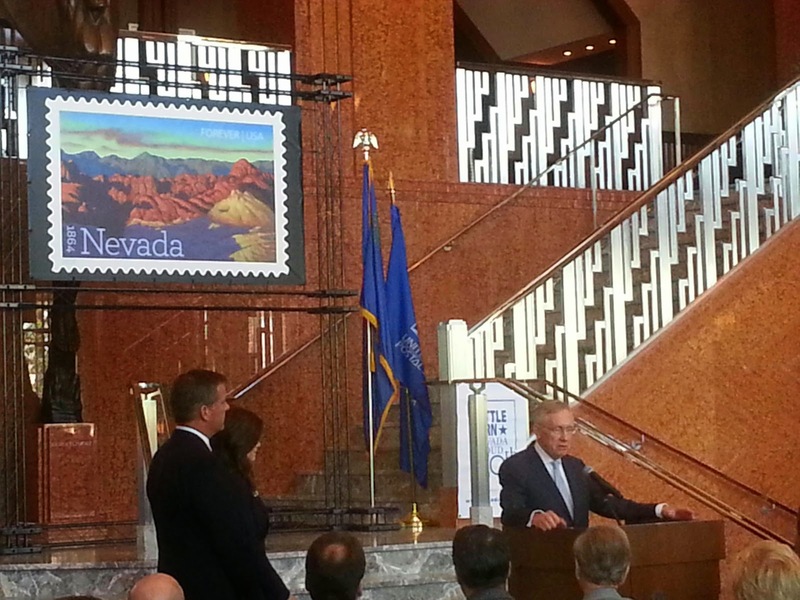 During the Nevada 150th Year Sesquicentennial celebration, people around the world are getting to know many other places in Nevada in addition to the well-known Las Vegas, Reno and Carson City. 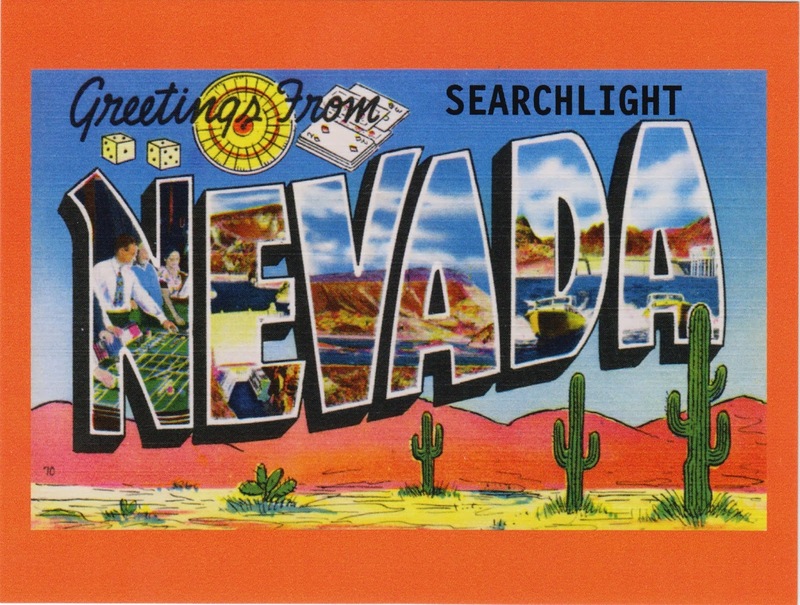 Searchlight is one of such small unincorporated towns in Nevada. Located 90 kilometers or 57 miles from Las Vegas at the topographic saddle between two mountain ranges in Clark County, it had a population of 539 as a census-designated place (CDP) in 2010. Searchlight is the hometown of the U.S. Senator Majority Leader Harry Reid. Edith Head (October 28, 1897 – October 24, 1981) also lived there. She was a Hollywood costume designer who won eight Oscars, still a record in its category and more than any other woman. The postcard was purchased from Zazzle.com. 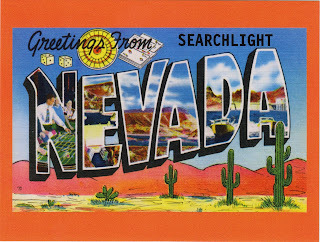 You can personalized the postcard with any place name in Nevada.